Let’s talk about a hypothetical scenario. Your daughter, who is finishing up grade seven, has something important to tell you. There’s a group of kids from her school who have been sending her harassing messages over Instagram. They do it pretty much every day. She’s blocked them all, but they create alt accounts or try and use other classmate’s Instagram accounts. She knows they have a private Snapchat group where the bullies talk trash about her and others. One of her friends joined, giving your daughter a chance to peek in and see what they’re saying. She’s also heard that they’re asking around for information about other social media accounts she may have. So you think to yourself: step one, let’s take a break from Instagram for a little while. We’ll work out the next steps later. Clearly these bullies are using Instagram as a vector to attack your daughter, so if you take away the vector, you take away the bullying. And it might be a bit healthy to take a social media break anyway. That’s a very understandable line of reasoning. But it doesn’t hold up. Taking away a kid’s technology, social media, and/or Internet access is the one thing you shouldn’t do if they’re cyber bullied. Here’s why. Social media is a place cyberbullying happens, but it is not a cause. If your teenager got bullied at the mall, you wouldn’t ban them from the mall. It wouldn’t be fair to take away something they like because something bad happened to them. Phones are a way for bullies to reach their victims, but they are not a cause. If, in some odd non-digital world, your child was getting bullied via letters in the mail, you wouldn’t ban letters at your house. The bully remains the cause, not the letters. Internet access is a major part of social life in today’s world, not to mention a major connection to TV, music, culture, news, and just about everything important to kids and teens. Bullying is already isolating. It doesn’t make sense to isolate your child further. Research shows that kids don’t like reporting cyberbullying to their parents. Fear of losing social media privileges, phones, and Internet access is the big reason why. 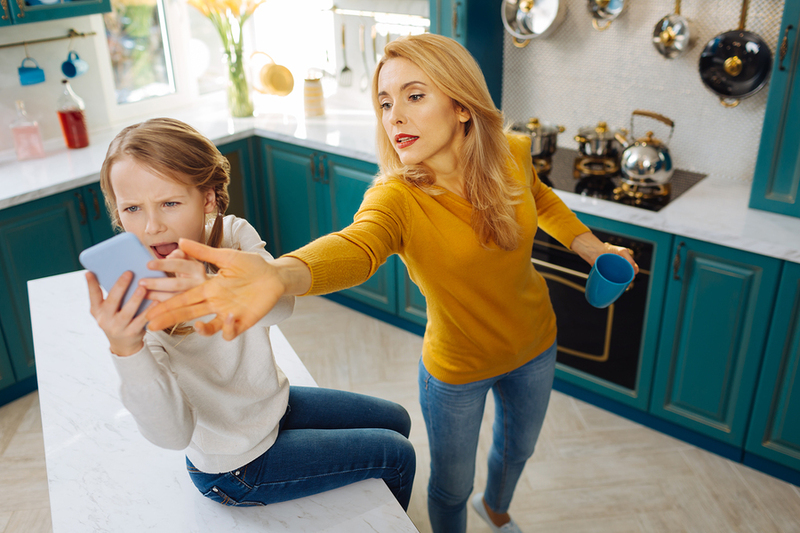 It’s important for your child to keep you as a resource and ally against cyberbullying, so it’s important to make clear to your child that they won’t be punished for reporting cyberbullying. Some people make the distinction between the online world and the ‘real world’. To be sure, the online world has some major differences than the non-digital world and it’s worth exploring those differences, but the online world is real. We know that digital news isn’t less ‘real’ than something in the print edition of the newspaper, we know that a digital bank account balance isn’t less ‘real’ than the one you get it the mail, we know that a shirt you buy from a digital store won’t be less ‘real’ than one you buy at the mall, so why do we pretend like digital social space isn’t the ‘real world’? The realness that makes cyberbullying as real as bullying you’d find on the schoolyard also makes the rest of social interaction online real. And it isn’t fair to take that social interaction away. Especially if it wasn’t their fault.